Why You Should Start Doing Yoga Today! How Yoga helps you physically, mentally and spiritually. 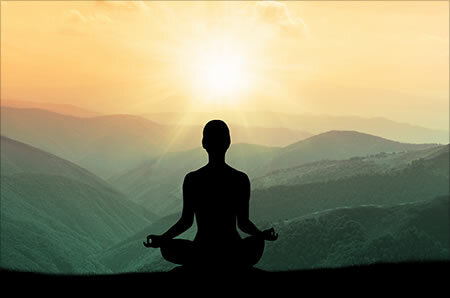 Yoga is becoming one of the trendiest practices for the betterment of our physical, mental and spiritual self. Yoga is enduring and even succeeds workouts because of its numerous benefits. It helps a person to overcome life’s hurdles and to move forward from the limitations of the body. Yoga is not limited to meditation or chanting; it is so much more than that. It consists of several positions, poses, and exercises which come all the way from the medieval times. The main reason why Yoga is trending nowadays is that of ease of doing it, the savings that you have while not going to a gym, the comfort of staying at your place and using your own convenient time to practice it: These factors practically make it a perfect therapy for a workaholic individual. 1)Increases flexibility: There is nothing that can make you feel this way, not only does it bring peace of mind but also increases flexibility. Yoga poses can help you to have a flexible body without having to much physical pressure or without driving you to the point of exertion. 2)Increases muscle strength and tone: It helps you to get a toned body by increasing muscle strength and transforming fat into muscle. It is a fact that muscles hide beneath the fat of our body and as we begin to shed that fat, they start to tone up and are visible physically. 3)Gets Rid of Depression: It is proved by several theories and studies that even 5 minutes of yoga can help you combat depression or even severe mental illnesses and diseases. 4)Anxiety and Stress? Not anymore: Yoga helps you to focus more clearly on your goals and get rid of all that excess baggage of stress, and It helps your nerves to calm down. 5)Improves breathing and Respiratory system: Breathing problems like Asthma can be easily cured or prevented by simple Yoga postures and breathing in and out in a specific way. 6)Helps to maintain and have a balanced metabolism: If you feel too hungry too frequently, yoga is for you. It helps to keep a balance of metabolism so that your hunger pangs stay at bay. 7)Reduces Weight: One of the reasons why people try out yoga is because of the weight loss. It can help you lose up to several inches just by doing Yoga for a couple of minutes every single day. It definitely beats a hectic workout when it comes to weight loss and also ends up making you feel relieved and relaxed. 8)Cardiovascular Health Care: If you have heart problems or have a history of them in the family, it is about time that you start focusing on spending a few minutes every day to do a few yoga poses. 9)SAVINGS And Health Go Hand In Hand: Yoga is practically free and equipment for it like mats ,LED lights are readily available at stores all over. It helps you save up all the money for the costly gym membership fee, plus the benefits last forever! If this didn’t convince you to start doing Yoga, I don’t know what will. Trust me, the health benefits are well worth it, and it is the most natural and most trusted forms of exercise. Go ahead and try it out for yourself.